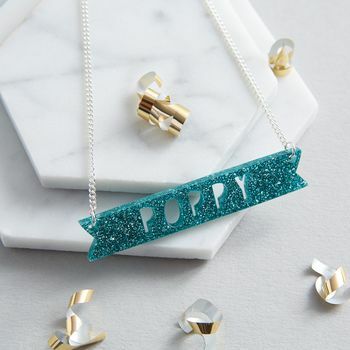 This personalised necklace with your choice of name is made from brightly coloured acrylic. Perfect gift for any female friends or relatives or treat yourself!! 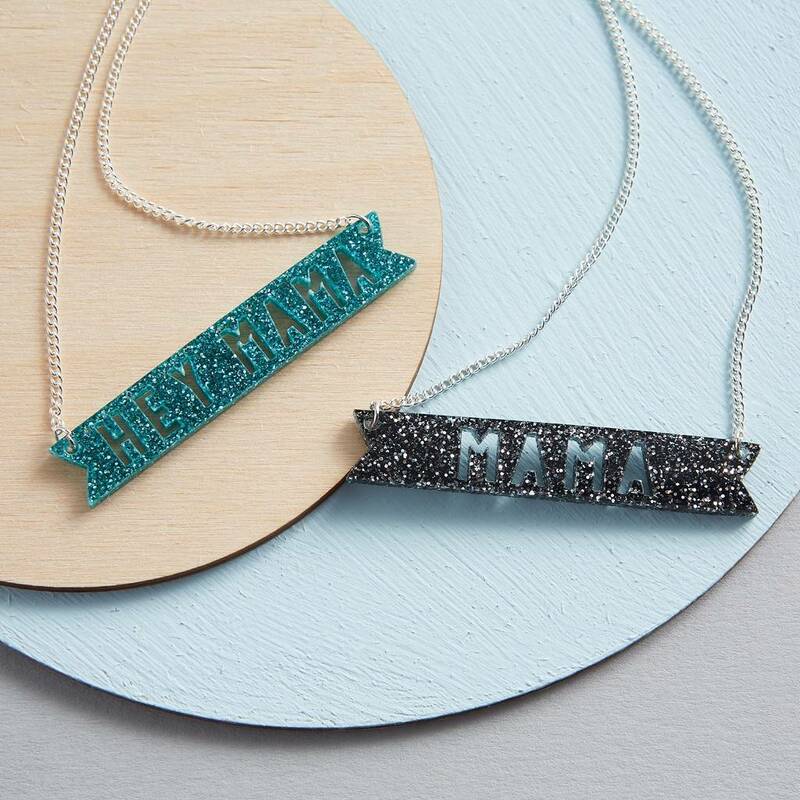 This personalised name necklace is a fun piece of jewellery to add to a collection. It is a great birthday or Christmas present that any friends or family will love. 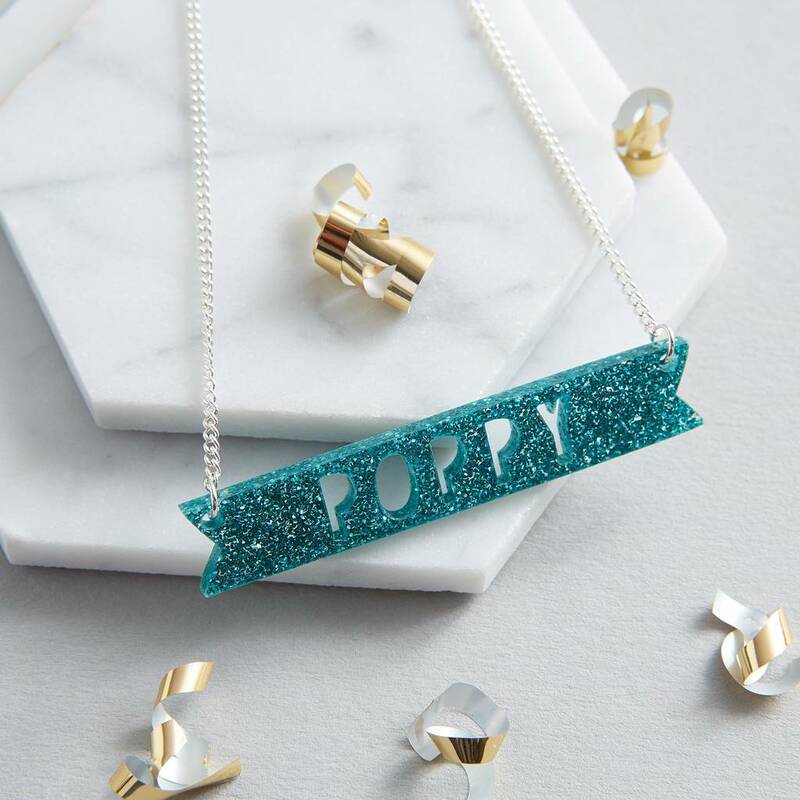 A fun piece of sparkly jewellery with your name on it to brighten up an outfit. 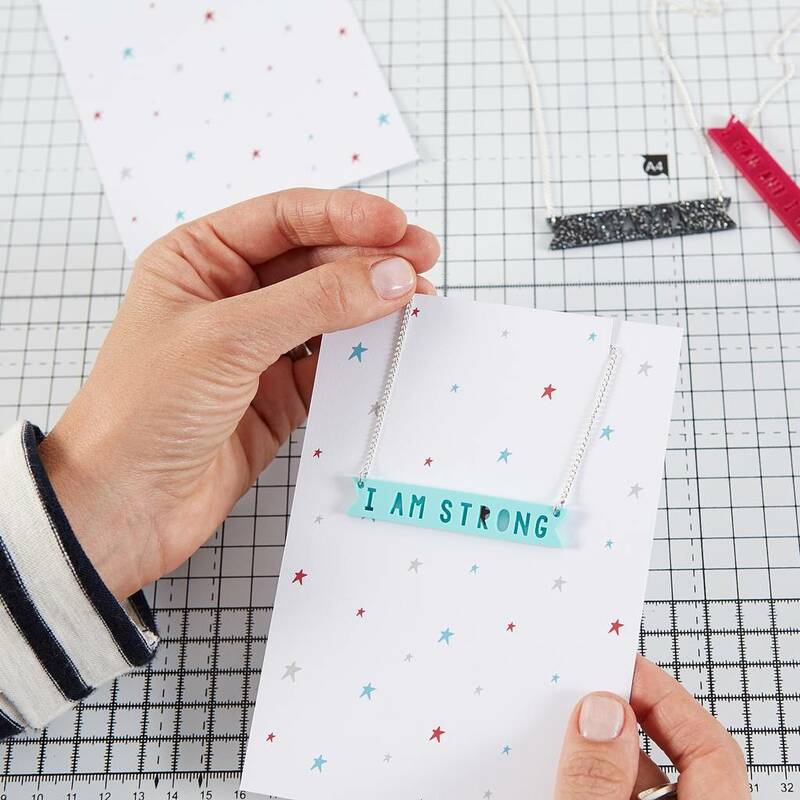 A bright and fun acrylic necklac, in a banner style, personalised with your choice of name (please ensure spelling is correct at time of ordering). Choose from sparkly turquoise, sparkly black acrylic. Every name is laser cut from 3mm acrylic. It is then hand assembled on a silver plated chain. 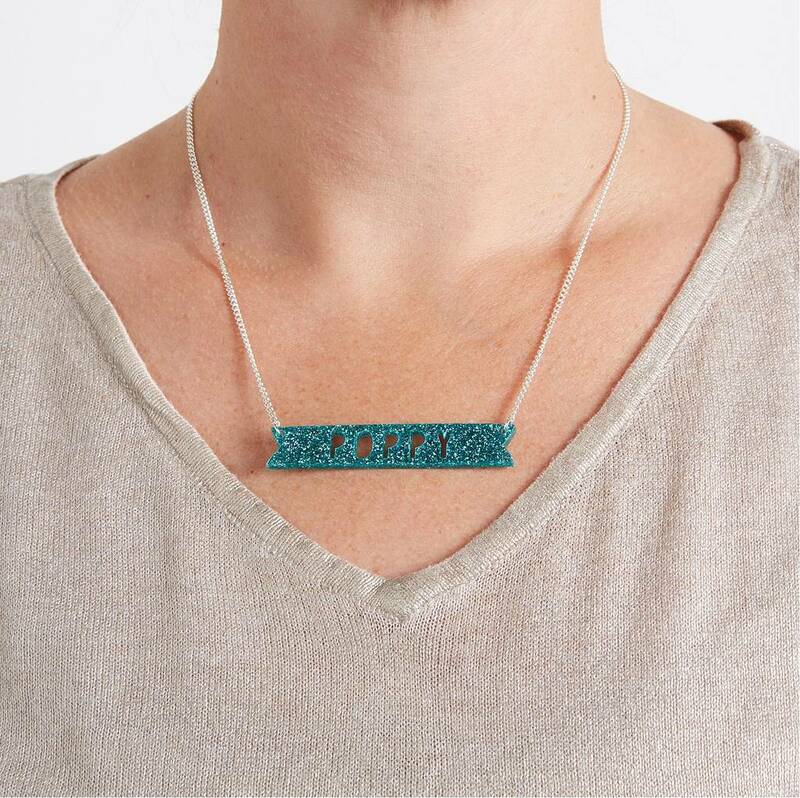 This necklace will be attached to a 40cm (16 inch) silver plated curb chain.